There aren't many shockers when it comes to storage capacity, but try this one on for size: Seagate has announced a 60TB SSD that may ship as early as next year. 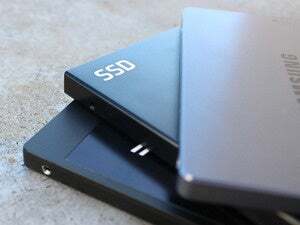 Seagate showed the drive at the Flash Memory Summit in Silicon Valley on Tuesday. It called it a "technology demonstration," which means there could still be a few kinks to work out. But if Seagate can deliver as planned, the drive would have close to four times the capacity of the largest SSD available currently, Samsung's PM1633a SSD. 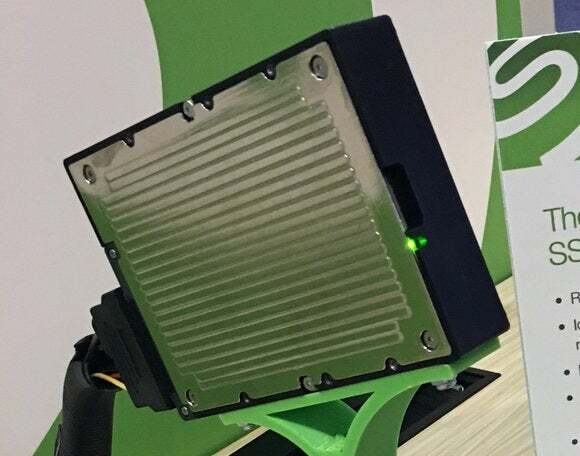 The drive will be aimed at servers and flash arrays, where it could help meet the growing demand for storage fueled by mobile devices, online video and the emerging internet of things. The SAS (Serial Attached SCSI) drive fits into a standard enterprise hard disk drive 3.5-inch storage slot, Seagate says. It didn't provide technical details in its announcement, but it said the drive is based on a "flexible architecture" that could eventually scale to 100TB in the same form factor.